Pedro De Abreu is interested in the study of the brain and the behavior it creates. Pedro believes that we can only solve the deep mysteries of memory, learning, emotion, thinking, consciousness, and more, in context — on one hand, in context of the micro study of individual neurons and networks or neurons; on the other, in the context of the macro behavioral outcomes that may or may not be associated with such networks. Such dual, ecological perspective speaks to Pedro’s work in social psychology and education, where is interested in the context that gives rise to questions related to identity, motivation, achievement, and group difference. In addition to directing the Brain and Cognitive Sciences thematic within The Future Society at the Harvard Kennedy School, Pedro is a Co-Instructor and Teaching Fellow at the Harvard Graduate School of Education, where he co-teaches a course on learning and motivation, and is a Teaching Fellow for a course on the introduction of statistics for research. Pedro facilitates semester-long senior thesis workshops with Mind, Brain, Behavior Harvard College seniors at Harvard University. Pedro is the founder of the consultancy 14X IG and of the non-profit Check Mate Foundation. 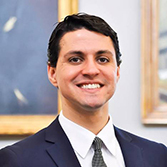 Pedro has been appointed South Carolina’s New Century Scholar by USA Today and the Coca-Cola Foundation, and was a Forbes 30 Under 30 finalist in 2016. Pedro is a winner of the Harvard Leadership in Education Award, a TEDMED delegate, Magellan Scholar, Walker Institute Scholar, City of Columbia Fellow, TEDx speaker, Darla Moore Emerging Leader, and the youngest ever-appointed member of the Board of Directors of the Central Midlands Council of Governments. Pedro has a Bachelor’s of Science degree in Economics with high honors and special distinction in research from the Darla Moore School of Business at the University of South Carolina and Master's degree in applied psychology in Mind, Brain, and Education from the Harvard Graduate School of Education at Harvard University. Pedro lives in Cambridge, Massachusetts. 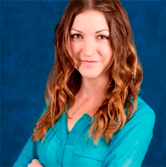 Jessica Cussins is the Director of Research at The Future Society. She graduated in May 2017 with a Master's Degree in Public Policy from the Harvard Kennedy School of Government and a concentration in international and global affairs, science and technology policy. She Chaired The Future Society at HKS in the 2016-17 academic year. While at Harvard, Jessica worked as a Research Assistant at the Program on Science, Technology & Society, and was a Belfer International and Global Affairs Student Fellow working within both the cybersecurity and biosecurity programs. She currently lives in the San Francisco Bay Area and does consulting work on health data and biotech for several technology think tanks. She writes regularly for outlets including The Los Angeles Times, The Huffington Post, and the Pharmaceutical Journal on the ethical, social, and political implications of consequential emerging technologies. She received her BA with Highest Distinction from the University of California, Berkeley. 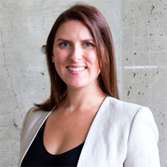 Genevieve Ennis Hume is studying Risk and Resilience at the Harvard Graduate School of Design. Her research centres on the economic and political power structures of technology and its application to robotics, AI, and extraction. She is currently a Teaching Fellow at the Harvard School of Engineering and Applied Science, and a former Fellow at the Wyss Institute for Biologically Inspired Engineering. Prior to coming to Harvard, Genevieve taught Intercultural Communications at the University of British Columbia and Kaospilot in Denmark, Colombia and South Africa, as well as Design Ethics at the Pratt Institute and the Rhode Island School of Design. She is also the co-founder of a bespoke luxury jewellery studio that focuses on international mining policy, collaborating with organizations such USAID, the UN, and the OECD on initiatives that address property rights and the development of peace-based economies in post-conflict regions. Nicolas co-founded “The Future Society at HKS” in 2014 and has taken a leadership role in developing it since as he believes it is of paramount important to politicize the stakes of the technological explosion we are going through. 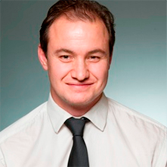 A recognized strategist, businessman, thought-leader and social entrepreneur, Nicolas has over ten years of professional experience working at the nexus of innovation, high technology, government, industry and civil society across various continents. In 2012 he convened “People for Global Transformation” which brings together 15 leading voices from across the globe to help shape the 21st century’s discourse on global development and governance, placing the transformative power of technology at the center of the reflection. He is currently a Senior Visiting Research Fellow with the Program on Science, Technology and Society at HKS, and a Fellow with the Institute for Data Driven Design affiliated with the MIT Media Lab. He was previously Research Fellow with the Ash Center for Democratic Governance and Innovation at HKS. His work focuses on the governance of emerging technologies, urban innovation and civic engagement. Brendan Roach is pursuing a Master's Degree in Public Policy from the Harvard Kennedy School of Government and will graduate in 2018. Prior to arriving at the Kennedy School, he worked as a consultant for large nonprofits and foundations on a variety of policy areas, mainly around internet access and regulation. 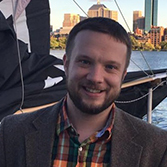 He is a Research Assistant at Harvard's Berkman Klein Center for Internet and Society and the Ash Center for Democratic Innovation and Governance. He received a B.S.F.S. from the Edmund A. Walsh School of Foreign Service at Georgetown University. Marie-Therese is completing her Master’s in Mind, Brain and Education at Harvard Graduate School of Education. Her project out of the MIT Media Lab using neurotechnology to decrease implicit racial bias won the Fast Forward Challenge at the MIT Future of People Conference. She is Board Member at Common Purpose, an international organization specialized in cross-boundary leadership, encouraging culturally intelligent governance in an increasingly globalized world. She studied Human Sciences at the University of Oxford, where she was President of the Psychology and Neuroscience Applications Society, head at the Oxford Climate Forum, and member of Stop the Clock at the Future of Humanity Institute addressing existential risk and leveraging the Effective Altruism movement. She previously worked in biotechnology R&D in Singapore, gene therapy for early onset parkinsonism at UCL, and on IR projects at the Sunday Times and the Royal Commonwealth Society. 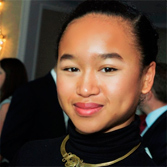 As a mixed Caribbean and Chinese individual in the realm of science and technology, she is interested in intergroup conflict, neural underpinnings of racial bias as well as the role of algorithms in facilitating human decision making. 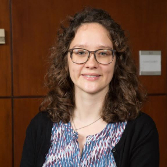 Katharina Werner is a doctoral candidate at the University of Munich and currently a Visiting Fellow at the Program for Education Policy and Governance at Harvard Kennedy School. Katharina’s main interest is in the way memory and decision-making bias in individuals transcend into collective action and politics. Her research focuses mostly on the role of misconceptions in the political process, specifically related to efforts that aim to reduce educational inequality. Katharina holds two degrees in economics from the University of Cambridge with a specialization in microtheory and networks. As our knowledge of the huaman brain continues to expand, so too does our ability to replicate the intricacies of the human mind in machines. This scenario drives the idea of emerging ‘strong’ artificial intelligence, which can not only perform high-order tasks, but also be said to 'think'. What will happen when machines can think just as well, and with the same emotional complexity, as humans do? Do we give them rights? Do they become humans by virtue of acquiring the rights we possess? What policies should be put in place to keep pace with the current speed of our conversation on the subject? As artificial neural networks that loosely model the human brain rely on immense data sets, we ask: How do we responsibly handle the patterns uncovered by machine learning, and how can we protect users’ privacy? How will our understanding of the neurochemical processes of bias, for instance, allow us to create stronger and more moral artificial intelligences? Do we fully understand what the implications of the concentration of information held by these systems are, and what are the organizations, public and private that develop and control them? How can our deepening knowledge of human consciousness inform more sophisticated AI? Artificial neural networks that will be increasingly modeled after the human brain and used by AI systems are displacing jobs more rapidly than ever before. Increasingly sophisticated artificial intelligences offer the potential to greatly augment human functions or to replace even high-level white-collar professions. As artificial intelligence increasingly takes on high-level cognitive functions, how will the workplace be affected? How should policymakers shape and respond to these potential changes to the workforce? The opportunities presented are rich and multifaceted, and an adequate response to those challenges requires the participation of stakeholders from the sciences, business, government, education, and society. The Thematic on Brain & Cognitive Sciences wishes to study the policy implications of increasingly sophisticated technologies informed by a deeper understanding of the human mind. Like other thematics within the AI Initiative, the TBCS will develop an agenda for public dialogue, host speaker series, and publish relevant policy papers and collaborative research projects. Our aim, through these initiatives, is to foster interdisciplinary insights into the discussion that will help shape the global policy framework Our first event took place at the Harvard Kennedy School of Government in the spring of 2017. We brought together some of the world leading experts on artificial intelligence and bias in order to discuss Artificial Intelligence & Biases: Examining the Past, Present & Future.